Where the citrus industry began so many years ago and the home to one of the most historic hotels in the nation, Riverside, California blends its past and future with cultural and renowned landmarks and a strong economic future. Ranked #13 in Job Growth by Forbes, Riverside California continues to grow in numbers. Partly due to the population growth in the past few years and the abundance of education, Riverside shows great promise for the future. Many more move to the area as time progresses economically increasing the chance for a better tomorrow. Another reason for individuals to live in Riverside is the overall short distance to other counties and areas. Only 45 minutes to an hour from the outskirts of Riverside to the heart of Los Angeles and Orange County. With L.A.’s and Santa Ana’s area not only being over-populated, the homes as well as cost of living is one of the most highest in the country. This one factor can drive buyers away and welcome them to Riverside where the median home price is $304,200 compared to L.A.’s $498,000, according to Forbes. As a strong pillar in Riverside’s economy with over six higher institutions and two school districts, education is related to some of the top employers in the area including University of California, Riverside. Being a public research college and one of the ten University of California campuses, UC Riverside offers students the chance to learn while creating a better future through countless programs and organizations. Riverside is known for its countless historic sites including the Mission Inn and the Parent Washington Navel Orange Tree, the last of the two original navel orange trees in California. From the Riverside Fox Theater, now known as the Fox Performing Arts Center, the first theater to show Gone With the Wind back in 1939, to the Riverside County Historic Courthouse, Riverside is rich in history and makes a great effort to preserve these buildings and sites. Because Riverside has such a strong passion to preserve its history, museums are easy to come by. With over 15 of them scattered throughout town, these museums range from research to art to culture to the famous, once prominent industry in Riverside. 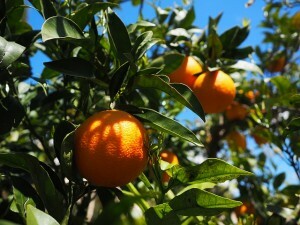 California Citrus State Historic Park is an open-air museum and tells the story of when citrus was the big seller in the region. Museums like these and others such as Riverside Metropolitan Museum, located in the historic Mission Inn District, are not only great seller points to draw in crowds but keep the town’s past relevant in daily life. Find a Riverside area phone number for your business. To search numbers available in area code 951 click here. This entry was posted in Local phone numbers and tagged Riverside Phone Numbers by Kathryn Anderson. Bookmark the permalink.